We spoke with ESL’s CEO to recap the organization’s 2017 and to discuss the bright future of esports. ESL had an interesting year in esports, especially in continuing the growth of CS:GO, and its CEO Ralf Reichert was there to spearhead his company into the new year. We spoke with Reichert to recap ESL’s 2017 and to discuss the future of the esports ecosystem. What are your general thoughts on the past year for ESL? And where do you see room for improvement? Reichert: Based on our research data, players and fans had more fun than the year before, so the pure quality of what we are delivering has increased—and we are fully committed to continuing on this path. I think it’s mainly big learnings from the things we could have done better, as every—even very small—mistake we make has such a big impact nowadays. And each of them (be it even a five minute delay to start a show) is incredibly painful. So the quality of basic things and the commitment to consistently bringing a better show to the players and fans are our biggest worries and involve the biggest points of improvement that we will prioritize this year. Can you preview any big plans that ESL has for this year? What will make 2018 different from 2017? In 2018 we will not only see more of everything, we also want to create better content. And in esports, “content” goes beyond the live feed. What we started with Hulu and Disney to deliver more casual esports programming is just the beginning. As a foundation to that, we want to dramatically improve the way new players and athletes can find their way to the top, and make sure ESL can help guide them. [We want to] show a clear, levelled, and fair path which is easy to understand and join. This is something we have been dreaming of for a long time, and a big part of our mission to bring esports to every corner of the world. What are your predictions for the esports industry in 2018 and years to come? The existing top tier games will do well. I believe that specifically the Dota 2 and CS:GO ecosystems, with the sheer amount of tournaments and content created around them, will do really great. We believe, and have a lot of data to support it, which suggests that there is a simple rule: more content is better than less content. Sounds almost too simple but if you look at the pyramid of competitions for a game to live up to its viewership potential, then a significant amount of tournaments and broadcasts from “Amateur” to “Pro” is the key to success. Last but not least, I believe that Battle Royale type of games, with PlayerUnknown’s BattleGrounds and Fortnite at the forefront, will play an incredibly important role, and Mobile Games with Arena of Valor and Clash Royale have the biggest potential to bring esports to the next level. Why do you think there was a dislike for the CS:GO Pro League being streamed on YouTube? The esports world is evolving, and one of the stronger trends we’re going to see going forward is that the most valuable content will be more diversified. The Pro League has shown that people follow great content, regardless of where it’s shown. So the platforms that have the biggest value and interest to get this content will get great viewership. Generally, adversity to change is just human nature, and there was a time when all esports content was on Twitch. That time is gone for good. What are the short-term and long-term benefits of having the league streamed on YouTube instead of Twitch? 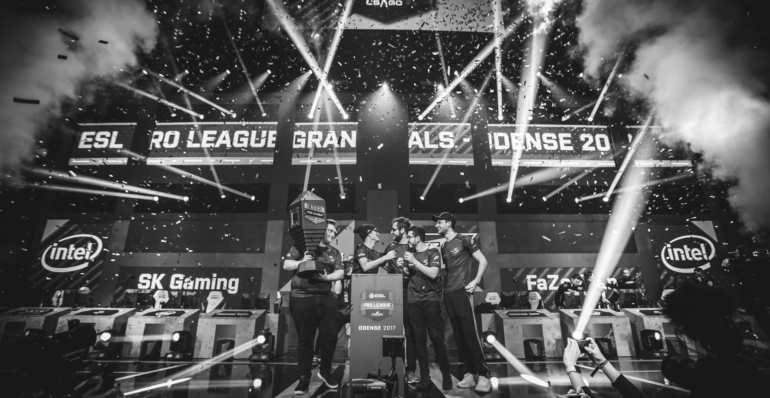 And how will ESL be using YouTube and Google more in the future to improve the general esports experience? First, ít’s platform specific features. Generally speaking, we are extremely early in that whole cycle, beyond chats and drops there are not many super successful features. Improving that is certainly on the to-do list of the whole industry. Second, it’s about the pure quality of video delivery. The instant replay/DVR function sets YouTube apart here, generally they do a great job in getting the live feed to as many places as possible in high quality. Third, there are more “marketing” oriented features. The live results for Pro League in Google Search are a great example, or the fantastic integration on Facebook for the teams playing in ESL tournaments. Twitter did a great job of getting non core esports fans to have a look at some of our tournaments—and has generally always been great at getting it right with the community features and more.